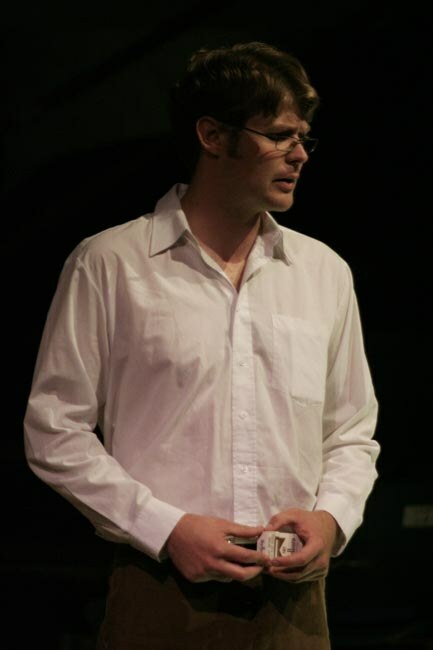 Selected as a finalist in the 2005 NLDTF/PANSA Festival of Reading of New Writing for Drama, this two-hander premiered at the ABSA KKNK in April 2006. 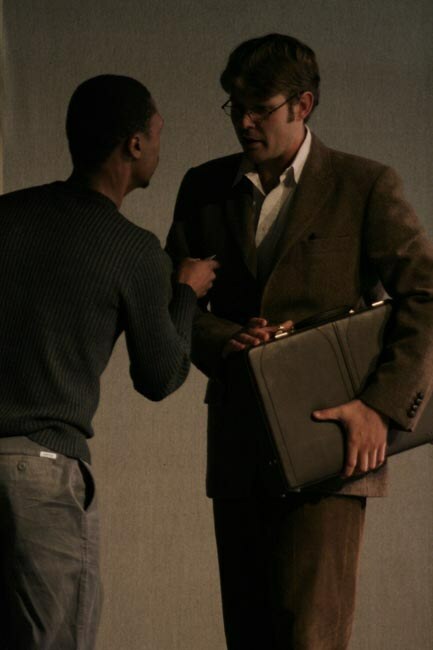 The play concerns two individuals who both experience violence in intensely personal manners; one, as a detainee during apartheid and the other, as a person living in a city now wracked by violent crime. As opposed to them being dismissed or forgotten as statistics, the play title reminds us that these are human beings; they are not faceless numbers, but rather, they are some mothers’ sons. 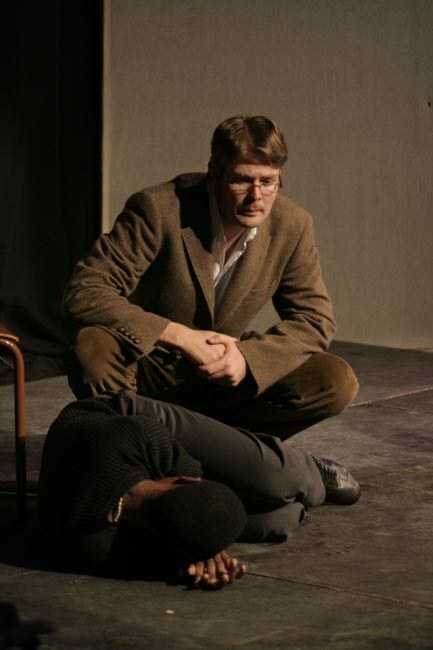 The play juxtaposes two essentially good men and their responses to the violence that they experience. It raises the question of whether a democratic South Africa has really come to mean the advancement and protection of human rights, particularly the right to life, and it highlights the challenges of the criminal and justice systems in the country. Vusi Mataboge is detained in the mid-eighties and is being brutally tortured. One day, a young Afrikaans lawyer, Braam Visser visits him and manages to get him out of detention. Visser convinces Mataboge not to leave the country to take up arms in retaliation for what he’s experienced, but rather to become a lawyer and fight the system that way. They become close friends and eventually, colleagues in a top human rights firm and then they start their own legal company together. Twenty years after meeting in the detention cell, the roles are reversed. Braam is arrested, and Vusi is there in the cell to get him out on bail. Braam has been a victim of a terribly violent crime, and he has responded in a brutal manner that has resulted in his arrest. Some Mothers’ Sons is the third part of the Dinner Talk trilogy, Thabo for Thabo, developed into a full-length piece in its own right. 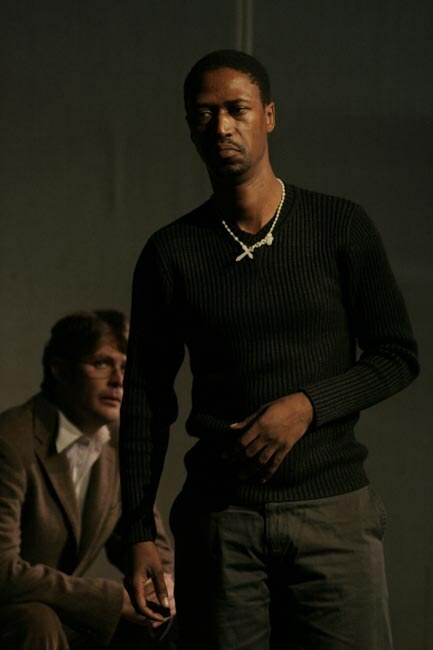 Whereas Thabo for Thabo focused on the contemporary scene between the arrested Braam (or the English ‘Steve’ in the original script) and his lawyer friend Vusi, Some Mothers’ Sons explores the earlier scene where they first meet in Vusi’s detention cell. 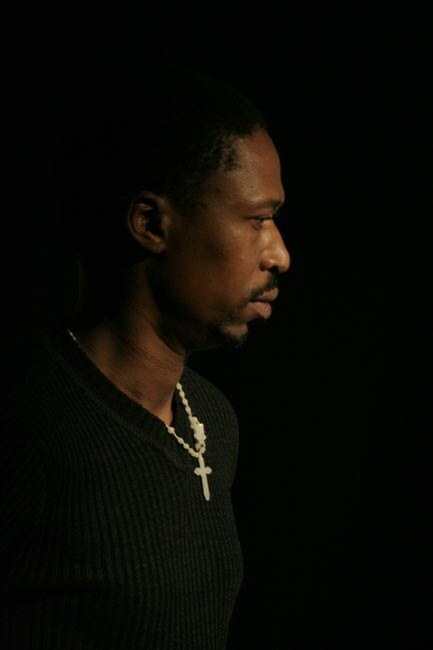 Some Mothers’ Sons was awarded the Jury Runner Up prize and won the audience award, as well as the Best Director award for Jerry Mofokeng at the NLDTF/PANSA Festival of Reading of New Writing (Contemporary Drama) in November 2005. 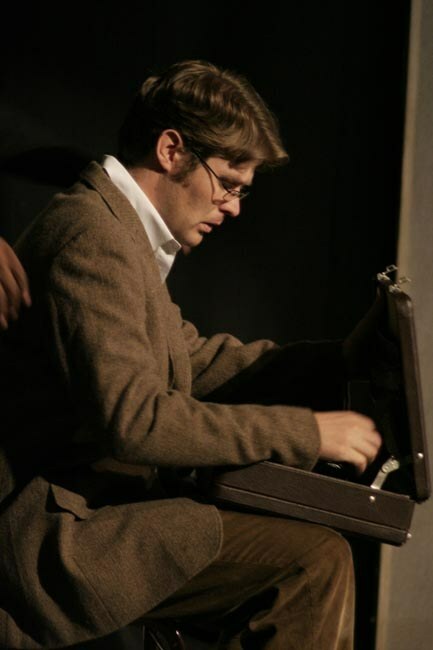 By that time, it had already been selected by the Klein Karoo Nasionale Kunstefees to be the first English play that they would produce fully. Given this market, the original English character Steve, was changed to Braam which has actually given – in my view – greater texture to the character. 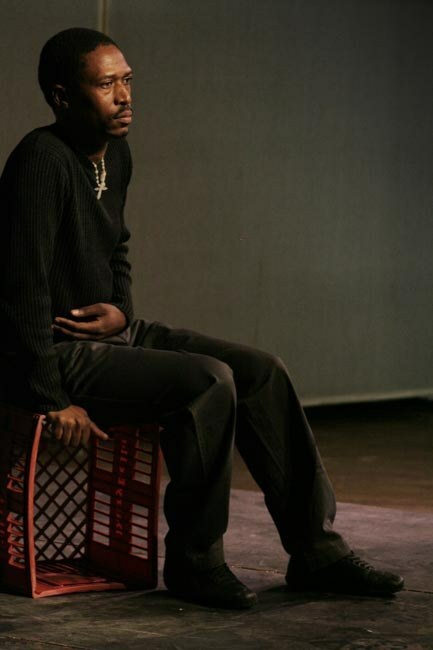 As the play would have its premiere at the KKNK and then have a run at the Baxter Theatre immediately afterwards, it was decided to cast the play in Cape Town. 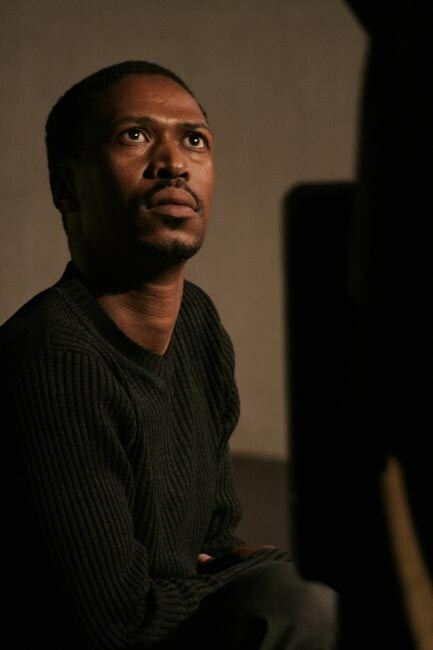 This made it logistically and financially difficult to maintain the services of Jerry Mofokeng as the director, at which point I persuaded Jay Pather – the original director of Dinner Talk – who had just moved to Cape Town to take up a position in the UCT Drama Department, to direct the play. Auditions were held and Dumisani Mbebe was cast as Vusi along with Gideon van Eeden as Braam. 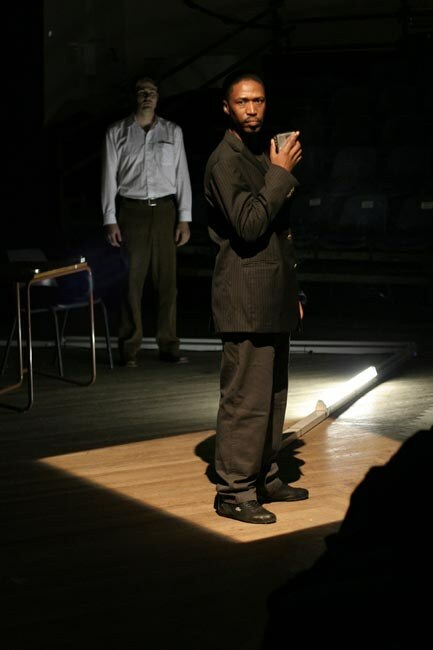 Immediately after its premiere at the KKNK, Some Mothers’ Sons ran for four weeks at the Baxter Theatre Centre, and directly after that, the cast went to London for a two-and-a-half week run at the Oval House Theatre as part of a focus on Southern African theatre. 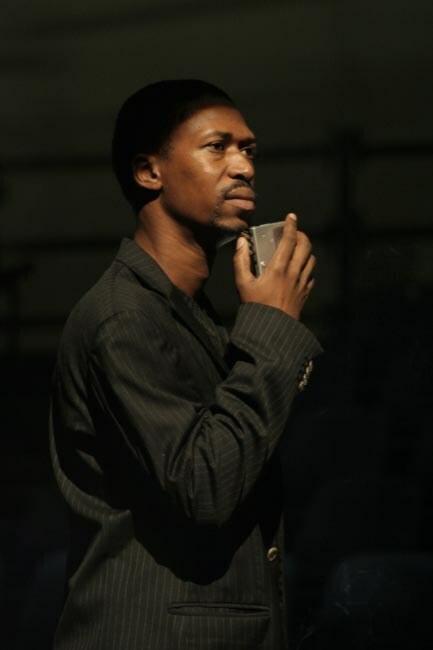 By that time, Wiseman Sithole had replaced Dumisani Mbebe in the role of Vusi (he rehearsed and played the role during the latter part of the Baxter season as Mbebe went off to make a movie). For me, the London run was a huge learning curve. As listed in Timeout, there are at least 120 other performing arts productions (musicals and dramas) taking place on any one night so that the competition for an audience is strong. Furthermore, with its theatre history and as a cosmopolitan centre of the world, Londoners have seen it all. Despite the generally warm response to the play from audiences, I was challenged by the feedback received from other theatre makers, from critics and audiences. On my return, and in dialogue with Jay Pather, I rewrote the play, giving it a much more filmic structure, rather than a linear play in two halves. The actors returned from a festival at De Appel Theatre in The Hague in early June, buoyed by the response they had received there, only to be confronted by a new script that that they had to learn prior to the National Arts Festival in July. 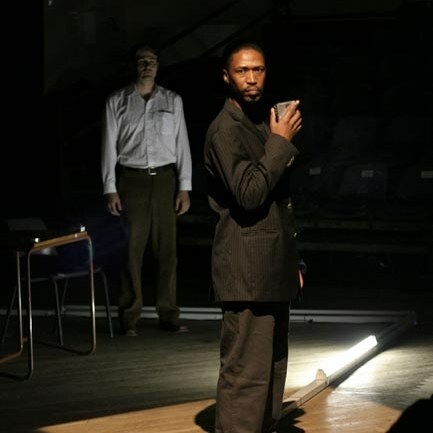 After initial resistance, they bought into the new structure and script and performed this version in Grahamstown for the first time where it was as warmly received by audiences as before. Thereafter, it played at numerous other festivals and venues, providing the actors with a total of more than seven months of work through the course of the year. 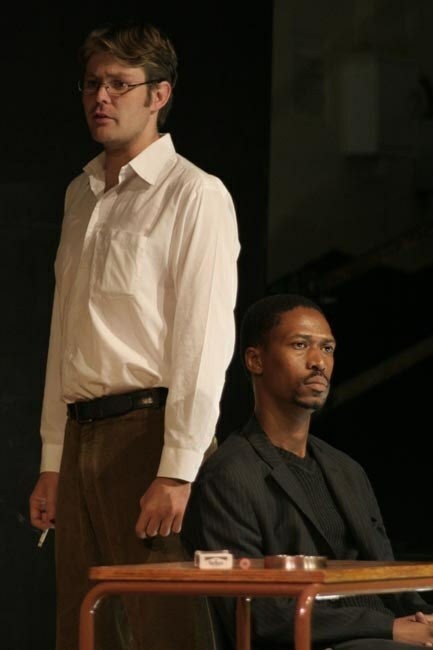 Original cast: Dumisani Mbebe as Vusi Mataboge and Gideon van Eeden as Braam Visser. Thereafter, Wiseman Sithole and Gideon van Eeden. As usual, award-winning Van Graan does not disappoint with the pen. He is someone who can push the personal/political envelope and compel an audience to engage with his work. His intelligent texts come from right under the thumb he has so firmly planted on the political pulse of our country, with sharp, fast-paced dialogue. He is one of the few playwrights who, through his plays, tests and challenges our principles – both personally and politically. Some Mothers’ Sons is The Crucible’s John Proctor stuff – universally apposite with a characteristically South African flavour. The dialogue brilliantly exposes the fine line between the rule of law and anarchy. 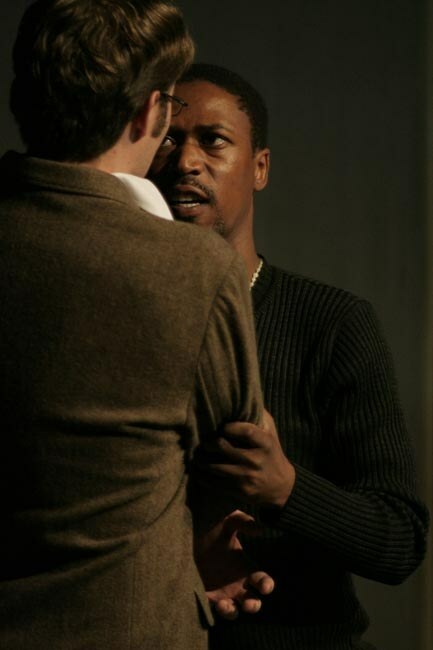 This is invigorating theatre, not least because of the intense and nuanced performances…The text does not simply harp on about the consequences of apartheid like so many other local drama texts in this “political” genre do, but catapults us into a space where we can intelligently question our democracy in order to make it serve its main purpose: Guarding our humanity. Van Graan brings a grim reality to his play as he bravely addresses widespread public concern with burgeoning crime in the new South Africa. The play doesn’t offer solutions, is merely a rigidifying reflection of the unsettling status quo. Van Graan is one of the best when it comes to tapping into the political rhythms of the country, and with Some Mothers’ Sons he has hit an emotional Vesuvius. In typical Van Graan fashion, he comes up with all the arguments and hangs them out for dissection and discussion. As one of the few practicing contemporary playwrights able to construct morally complex and dramatically layered scripts dealing with highly controversial socio-political topics, Mike van Graan’s latest play, Some Mothers’ Sons is highly recommended. As a playwright and satirist, Mike van Graan is adept at taking the pulse of South African society. 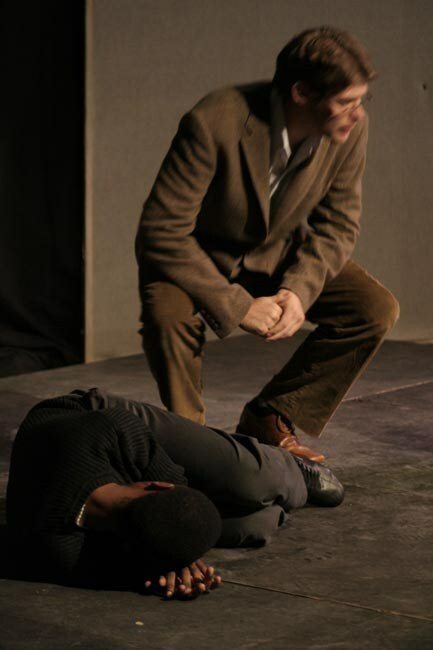 Some Mothers’ Sons, no exception, demonstrates his maturing ability to transform his socio-political concerns into characters webbed in dramatic conflict….The writing itself is textured with nuances…It’s this honesty, coupled with the playwright’s passion for dissecting morality in a murky moral landscape which imbues Some Mothers’ Sons with its clout. Some Mothers’ Sons…is an ingenious public vehicle for a public issue that most would rather not talk about in public. Some Mothers’ Sons attempts boldly to grapple with an emotionally hard issue, like all of Van Graan’s political work. To its credit, it doesn’t offer a clear or didactic answer. The end is tragic; its indictment of our society not romanticized. Reducing an audience to tears at 11 ‘o clock in the morning is no mean feat, and this play is nothing less than a moving masterwork. 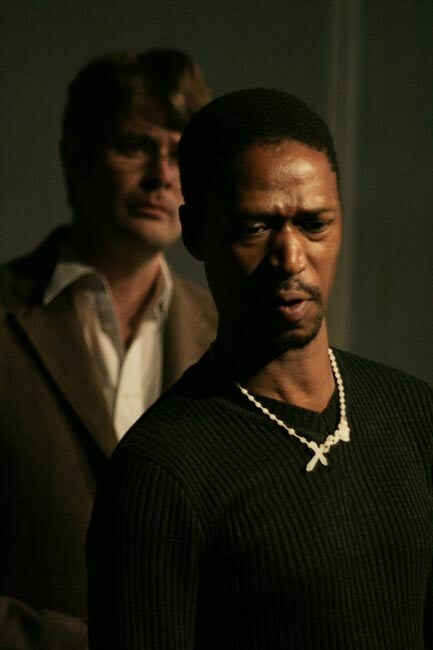 Mike van Graan se reputasie as voorste dramaturg is versterk deur Some Mothers’ Sons….Hy skryf met groot ewewigtigheid. The script is available in unpublished form. There is no visual recording of the play currently. Please contact info@ikevangraan.co.za for more information.